Methadone works by occupying the same brain receptor sites affected by heroin and other opioids. Because of this property, it can be used as a treatment for chronic pain as well as a therapy for opioid dependance. In the last 15 years, deaths related to methadone have skyrocketed in the U.S. According to the US Centers for Disease Control, the number of drug-poisoning deaths involving methadone increased from 784 deaths in 1999 to 5,518 deaths in 2007; then it declined to 4,418 deaths in 2011. While the trend is improving, the numbers of deaths attributed to methadone toxicity are staggering. While most of these deaths are unlikely to be the result of medical malpractice, far too many of them are. Under Utah law, a physician or other health care provider is required to exercise the same degree of learning, care and skill possessed by others in good standing practicing in the same medical field. Failure to exercise this degree of care is considered a breach in the standard of care and, if it causes harm, allows a claim for medical malpractice. See Farrow v. Health Servs. Corp. 604 P.2d 474 (Utah 1979). These standards apply to doctors and other providers who prescribe or administer methadone to patients for pain management or as therapy for opioid dependance. In Utah, there are a number of methadone clinics providing this treatment. While methadone can be a life-saving medication for many people, it carries significant risks which doctors must weigh against any potential benefits. Methadone is a risky medication because it remains active in the body for a long period of time. It carries the risk of respiratory depression which can lead to death. Methadone can also cause dangerous cardiac arrhythmias. Initial dosing is extremely important and generally must be tailored to each individual patient. 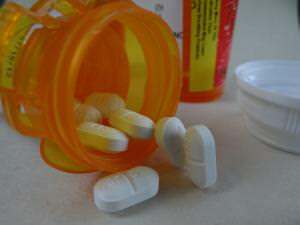 In addition, various other medications interact with methadone and can increase its effect. Patients must be carefully monitored on a regular basis, particularly when doses are increased or treatment is begun. See Applying Legal Risk Management To the Clinical Use of Methadone, James O’Donnell, PharmD, M.S. and F. Randy Vogenberg, Rph, PhD. My firm has successfully handled methadone overdose cases in Utah. We work carefully with the surviving loved-ones, expert witnesses, and others to uncover the facts and pursue valid cases. If you suspect your loved one died as a result of methadone toxicity which was inappropriately prescribed or monitored in Utah, please contact me, Utah attorney Jared Faerber, for a free, no-obligation consultation.